“We are debris,” muses Sartaj Singh, the policeman-protagonist of Vikram Chandra’s mammoth 2006 novel Sacred Games, during an investigation into the Mumbai underworld, “randomly tossed about and nudging into each other, splitting each other’s lives apart.” The last few words find visual representation on the book’s original, pulp-fiction-inspired cover, where two faces merge into one, even sharing an eye. 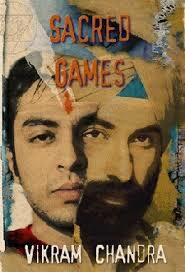 On the right is the turbaned Sartaj; on the left his nemesis, the gangster Ganesh Gaitonde, a red tilak on his forehead. Sacred Games is about many lives that intersect in countless ways, but at its heart are these two men, two sides of the same coin, who are linked by the narrative’s cross-cutting structure. A fast-paced thriller as well as a meditation on forked paths, the book quickly developed a cult following. Now, 10 years later, its fans have been thrilled by the announcement that it is being adapted into an original series by Netflix. The online TV network is being tight-lipped about details, but one thing is certain: the scale will be more elaborate than that provided by a feature-length film. And given that this is such an exciting time for narrative television, online and offline – with Netflix shows such as House of Cards and Orange is the New Black being part of the renaissance – Sacred Games buffs are likely to be in for a treat. Chandra’s epic lends itself very well to a long-form series. It is (just about) possible to imagine a good two-hour movie version, but this would involve paring the book down to its main plot and removing much of what makes it special. Sacred Games is intricate and multilayered: it keeps making detours; it moves about in space and time, even going back to the Partition riots to examine what effect that violence had on the family histories of the contemporary characters. When I first read it, even as I reveled in Chandra’s elegant storytelling and the audacity of a narrative that mixed genre tropes with the rigour of literary fiction, I felt a little stymied by the accumulation of detail. One long “Inset” near the end – an apparently random account of an old woman dying anonymously in the US, her granddaughter curious about her distant past but then getting back to writing about her favourite filmstar Aamir Khan in her diary – is rich and moving when you reread it. But when you’re encountering the book for the first time, as a thriller about Sartaj and Gaitonde, it can feel like a distraction. In this 2006 interview, Chandra told me his intention had been to create an intricate mosaic, where none of the characters was fully aware of everything that was happening. (“Each action flew down a tangled net of links, reverberating and amplifying itself and disappearing only to reappear again,” Sartaj reflects.) 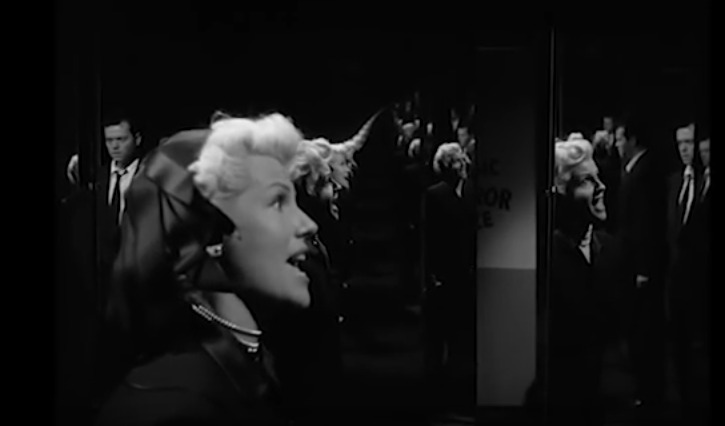 The TV-series format, with its ability to handle multiple narratives, can do great things with such a design. However, even serious fans might be willing to accept some changes in the narrative structure (and at this point, one can only speculate). In the book, Sartaj and Gaitonde converse once, very early in the story: the gangster has, for reasons unclear, barricaded himself inside a strange, cube-shaped building, and the cop is outside, trying to persuade him to surrender. The cross-cutting begins after Gaitonde dies: he tells Sartaj (and us) his story from beyond the grave; meanwhile Sartaj, who is very much on a corporeal plane, continues probing mysteries related to Gaitonde’s demise. Depending on the planned length of the series, it might be tempting to tweak this format so that Sartaj and Gaitonde become antagonists or doppelgangers in a more immediate sense. By that, I don’t mean lots of dramatic confrontations or cliffhangers, just a sense of a psychological cat-and-mouse game between two people who know each other’s minds. One of the fascinating things about Chandra’s book – which is full of imagery that would lend itself to a good screenplay – is how it emphasizes the links between Sartaj and Gaitonde, in big and small ways. They visit the same places in unrelated contexts; each man is sleep-deprived and haunted by apocalyptic visions; Sartaj hums “Mehbooba Mehbooba” to himself while driving, and a few pages later Gaitonde is watching Sholay. A series that kept Gaitonde alive a little longer than the book did might find intriguing ways of dealing with this subtext. By way of reference, I’m thinking of the creepy relationship between serial killer Hannibal Lecter and disturbed cop Will Graham in the fabulously atmospheric series Hannibal, another milestone of narrative television. But there are also recent Hindi films which have dealt with the “doubles” motif. 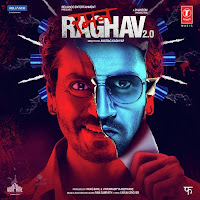 Anurag Kashyap’s Raman Raghav 2.0, for instance – produced by Phantom Films, which is also co-producing the Sacred Games adaptation – has a poster reminiscent of the original Sacred Games cover, blending the faces of a murderer and a potentially psychotic cop. There are other ways of linking Chandra’s novel with gritty crime movies. Vidhu Vinod Chopra, the author’s brother-in-law, made the 1989 Parinda, which was a landmark of the modern gangster film. The writer S Hussain Zaidi, to whom Sacred Games is co-dedicated, wrote Black Friday, which was filmed by Kashyap and featured a funny little moment of camaraderie where a cop, near the end of an exhausting chase, calls out “Ruk ja, yaar” to his quarry – a scene that reminds me of the one in Sacred Games where Sartaj, trying to persuade Gaitonde to come out of his cube, says "Come on, yaar. This is stupid." Yet there is also this paradox: despite Chandra’s own identification with the tropes of mainstream Hindi film, his book is written in cool, polished English with smatterings of street jargon (“The screenplay of my life had arced upwards in a single continuous movement, and I had left lovers and yaars and enemies behind”) – a language that is a world away from the everyday speech of Gaitonde and the other characters. This is acceptable as literary licence in a novel, but I’m unsure how it would translate into a TV series where we actually see and hear these characters. The Netflix press release uses the word “bilingual”, but it isn’t clear how much of the series will be in English and how much in Hindi. The answer to this question will determine many things about its tone and how closely it captures the daily realities of people like Gaitonde and Sartaj, as well as the nature of the cinema that provides reference points for them. Either way, the show should have plenty of stimulating things in it. If successful, it could even acquire a life of its own, moving beyond the book’s ambit. 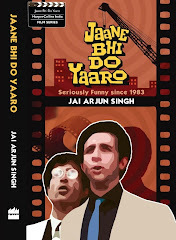 The novel’s last line is “He went in and began another day”, a reference to Sartaj getting back to his work after the Gaitonde adventure is over. Sartaj could certainly make a compelling protagonist for a police procedural. A Sikh hero in an internationally watched show with a dead gangster, a modern-day Betaal, hovering over him, whispering wisdom into his ear? The possibilities are endless, and most of them come from the nature of this enthralling book, which is a very Indian story rooted in our narrative traditions and in the character of our most dynamic metropolis, while also being universal enough to appeal to a global audience. I would love to watch this series. The book, as you rightly said, would work much better in a series format rather than in a movie. I do think I need to re-read the book to understand the doppleganger effect - it was fast paced and I read it too quick a few years ago. To me, both characters were products of the same place and similar timing/era, and so, they do have similar influences. The name though was a red herring to me. Understandably, the "sacred" was due to the identity of the influential person in Gaitonde's life. But I had expected, from the title, more religious imagery and "games" in the story. How much time does it takes to shoot 15 episodes, 45 minutes each? asked him about how he decided on a Sikh protagonist, something that is rare. I forgot what he replied but he did give a really long reply and it made my day. I never expected that reply. Have you seen the series yet? Curious to know what you make of it. HAvent read the book so cant compare.